SDI Logistics (HongKong) Co ltd was established in 1998, and Shenzhen, Guangzhou, Shanghai branches were established in 2001 with the approval of Shenzhen Municipal Transportation Bureau and Shenzhen Municipal Administration for Industry and Commerce. We are a professional transportation company with a registered capital of 5,000,000 RMB. The company is mainly engaged in the transport of general cargo, including container transport as well as highway, railway, air transport. We have a transport network covering more than 100 cities in China, owning more than 200 trucks. The characteristics of the company are energetic, professional and efficient. Over these years, through the efficient management and hard work, the company has witnessed rapid development, and become a competitive enterprise in Shenzhen transport industry. In order to better serve clients, we keep improving and obtaining the latest knowledge, improving professional services and standard operating procedures. Shipping your freight by air with SDI will keep goods moving at optimal speed and efficiency along the supply chain. We have stable cooperation with the world’s major international carriers which secure space on thousands of flights each month and we offer charter flights internationally, as well for your larger consignments. We provide real-time, global tracking as part of our standard capabilities. Our global, door-to-door services includes customs clearance and forwarding to interior points, as well as coordinating with our ocean operations for on forwarding cargo in the most cost efficient manner. 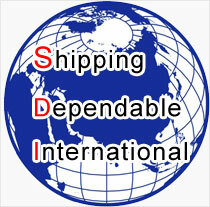 Select SDI, and you'll get fast, efficient international airfreight delivery worldwide. Our non-asset-based operating style means that we don’t have our own aircraft to fill, which provides us with unrestricted access to virtually unlimited capacity. Flexible international air options from standard to expedited service Door-to-door and Airport-to-airport.Global custom air chartersOnline management tools for shipment tracking, reporting and more. SDI offers you the following Air Freight products; Typical transit time of 1 to 2 days from departure airport to destination airport. We own 200 articulated trucks and mainly offer freight transportation from Guang dong Province to Shenzhen port, and we can also provide various tonnage trucks service and articulated trucks service come and go between China-Hongkong.